A bohemian straw clutch bag with added embroidered textile handmade in Thailand. 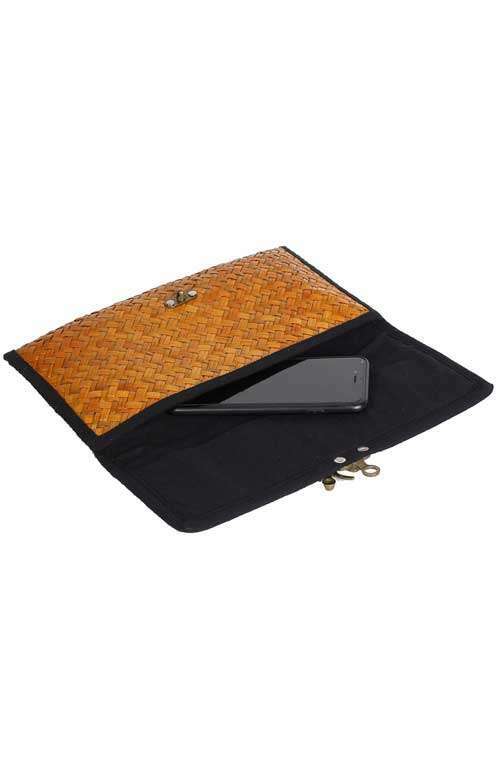 This boho straw purse is the perfect clutch purse for carrying your phone and small makeup. 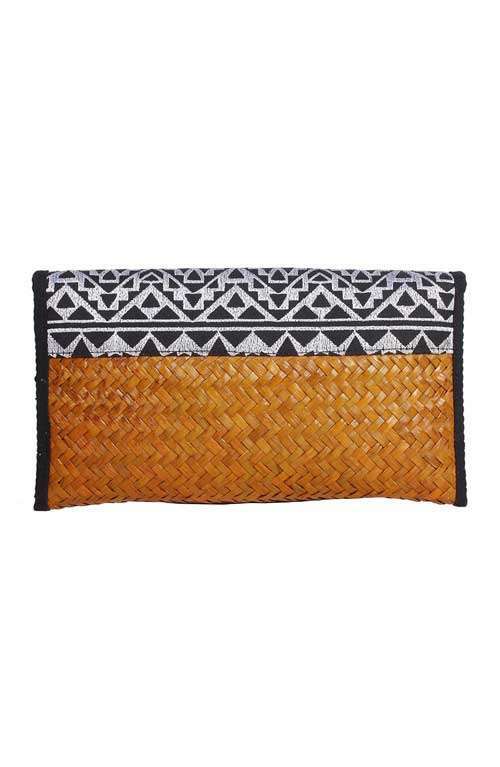 This boho straw clutch purse is handmade with love in Northern Thailand. 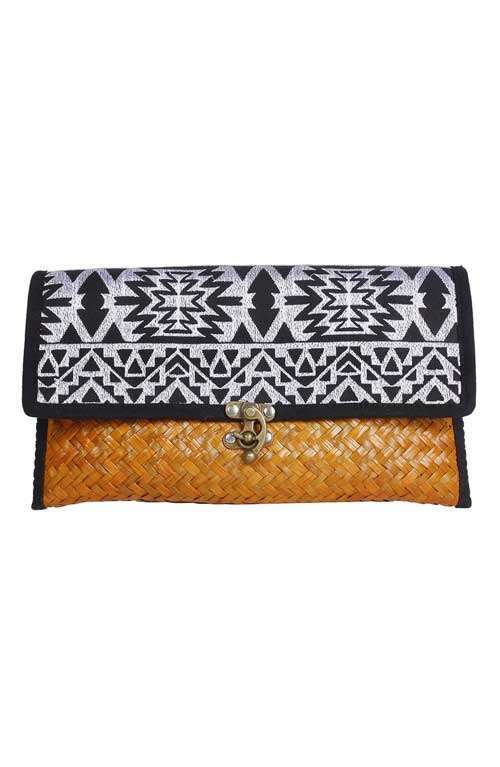 The clutch bag features beautiful aztec embroidered fabric. The boho straw purse has a clasp closure and is fully lined with a zipper pocket inside. 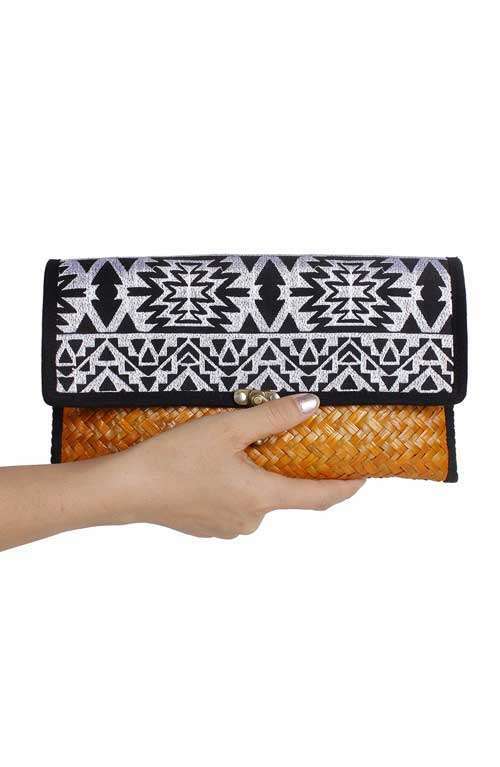 This bohemian straw clutch will fit your phone and small makeup.